Lock in a great price for Corali Hotel Ios – rated 8.8 by recent guests! The staff were incredibly friendly and helpful. Awesome pool and bar, restaurant. The staff are wonderful! Love this place and will recommend to others! The staff were friendly, particularly working at the pool bar and in the restaurant. Rooms were pretty basic but we hardly spent any time in them as there is so much to do in close proximity to the hotel. The hotel is less than five minutes walking distance from the port, which is so handy and the beach is right across the road. Make sure you try the pizza in the hotel’s restaurant! Amazing! My friend and I stayed here on our vacation in Ios and we couldn't have been more happy. The hotel was so cute and cozy and perfect for us. This was our first time in Greece and the hotel staff was more than willing to help us with anything we needed. They even helped me to look for my passport when I lost it the day we checked out. 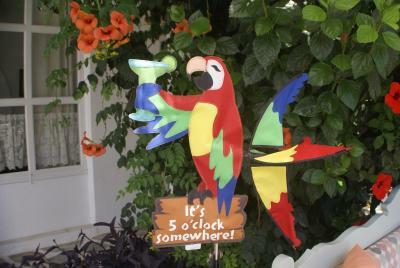 The location is a bit outside of the main parts of the island, but the area is very nice and quiet. We would definitelt stay here again! Great stay in Ios, like for instance: - Location is very quiet despite of being very close, at walking distance, to the Port and the several restaurants around. - Pool is very cool and the beach in front of the hotel is wonderful, perfect offers! - Everyone is kind and helpful! 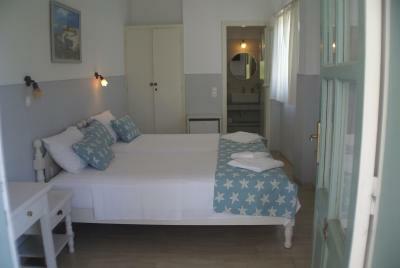 We loved our stay at the Corali Hotel in Ios! The property was in a great location with very friendly and attentive staff. The restaurant attached was incredible with especially great shrimp and homemade cheese! The pool was also very beautiful and lit up at night for a nice evening swim. Would definitely recommend! The location was excellent. It is 5 mins walk from the ferry port. 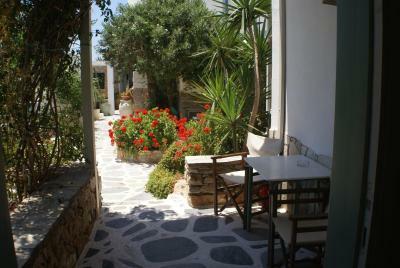 It is also close to the town, which is accessible by bus and walking. The staff were friendly and helpful. The accommodation was clean and tidy. There was a good breakfast provided. The pool area was lovely and the restaurant makes delicious pizza. The beach in front of the hotel was really nice and free loungers were supplied. Pool clean pristine . Bar was great break was ok more variety needed. Enough to get you through . Host Sharon was very helpful and accommodating lovely person . The location could not be better - right on the beach! Free sun beds too! The hotel has a very relaxed and friendly feel. The pool area is great. The food is great too! 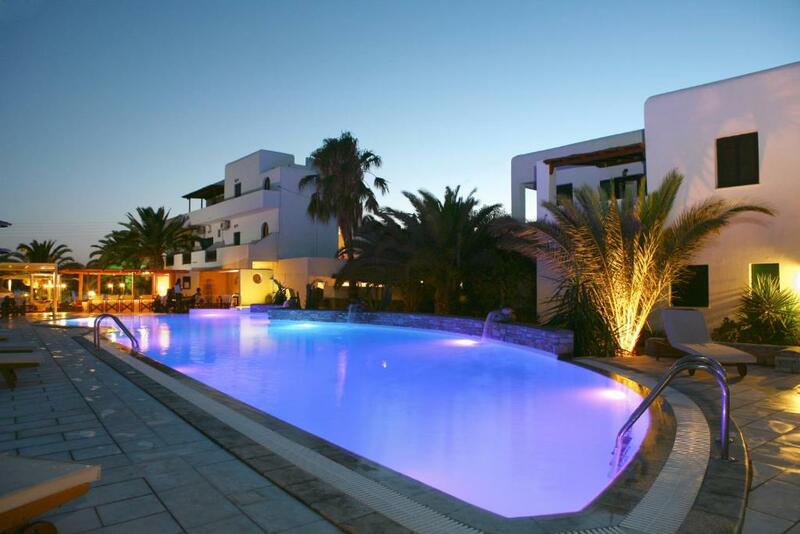 Corali Hotel Ios This rating is a reflection of how the property compares to the industry standard when it comes to price, facilities and services available. It's based on a self-evaluation by the property. Use this rating to help choose your stay! Corali Hotel Ios, a family-run hotel, quietly located on the beautiful beach of Gialos in Ios, offers modern amenities very close to the beach and the port. Opening to balconies, all rooms feature all modern comforts and amenities such as TV, mini fridge, air conditioning and an private bathroom with hairdryer. 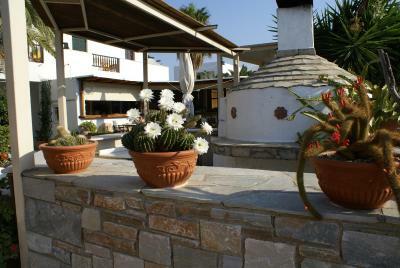 The ground floor of the hotel consists of the seasonal Corali Restaurant, Bar and Reception. 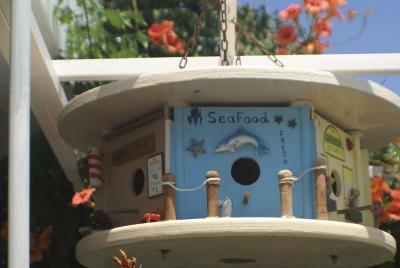 At the beachfront restaurant guests can enjoy a buffet breakfast, lunch and dinner. Corali additionally offers a games room, hot tub and outdoor swimming pool. Guests are provided with free wireless internet connection as well as free parking. Yialos is a very popular white sandy beach, located at a few minutes’ walk from the port of Ormos. 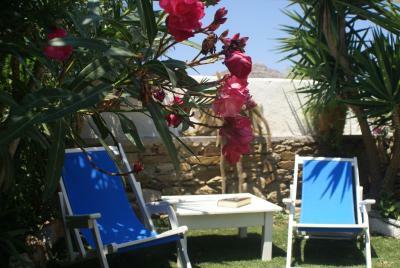 When would you like to stay at Corali Hotel Ios? 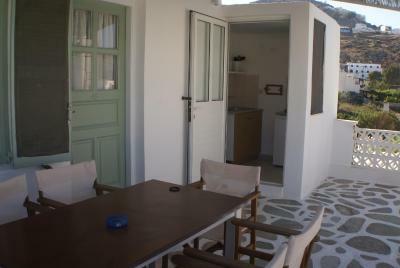 Opening to a furnished balcony with Aegean Sea view, this air-conditioned room has a TV, fridge and hairdryer. Featuring a kitchenette with a fridge and dining area, this air-conditioned studio opens to a balcony and has a TV and hairdryer. Featuring a kitchenette with a fridge and stove, this air-conditioned apartment opens to a balcony and has a TV and hairdryer. 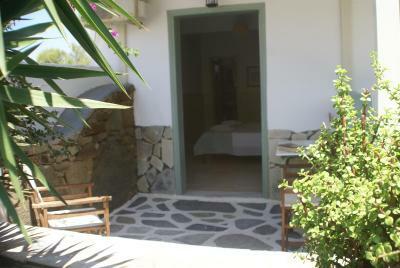 Opening to a furnished balcony with view of the grounds, this air-conditioned room has a TV, fridge and hairdryer. 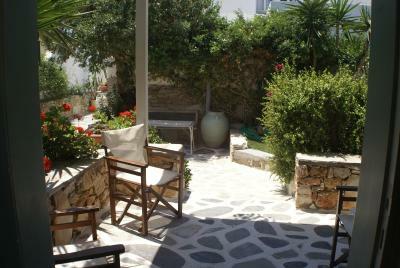 Opening to a furnished balcony, this air-conditioned room has a TV, fridge and hairdryer. Please note that this room cannot accommodate any extra guests. House Rules Corali Hotel Ios takes special requests – add in the next step! Free! One additional child under 3 years stays free of charge in a crib. Free! One additional child under 6 years stays free of charge when using existing beds. Corali Hotel Ios accepts these cards and reserves the right to temporarily hold an amount prior to arrival. Please kindly note that American Express cards cannot be accepted. Please also note the hotel swimming pool operates between May 15th and September 30th. Please note that the hotel restaurant operates from the 1st week of June until late September. Sharon is a great host and my room was huge compared to other places I've stayed in Greece. Great bathroom - fluffy towels! Lovely pool and surroundings. Great location too! Beds are very uncomfortable !. Smell was coming through to rooms from pipes . Very unappealing . Nothing at all - it’s perfect! Self catering kitchen in the apartment could of done with a few utensils. e.g. chopping board. Sharp knives. Wine glasses. Extra ice cube tray. These are small items but things we could of done with without having to buy them. Excellent staff with no exceptions. Beautiful gardens around the pool. Management clearly efficient. Rooms always cleaned to a high standard. Location is excellent for both port and bus transportation. 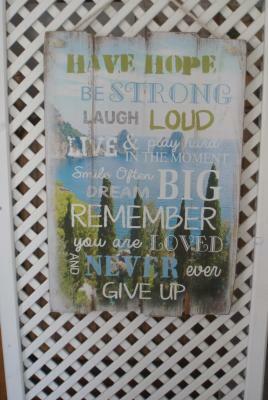 And beaches. Very close to the port, and a very short bus ride to the village. They offer free beach chairs right out the front at the beach and provide service while your sun baking! Great bar and a big pool, and the free breakfast was amazing. Lovely hotel with really friendly staff. 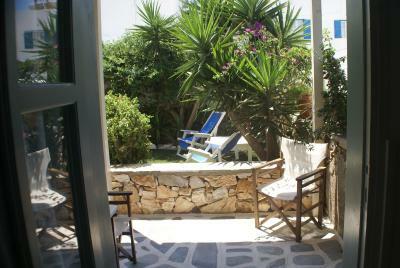 2 minutes walk from the port and just across the road from the beach with free use of sunbeds. Nice big pool with a separate kids pool. Nice bar and excellent pizzas in the evenings made in their outdoor pizza oven. Short stroll to the bus stop and easy ride to Chora town. Everithing was Amazing ! Thank to Sharon and all her staff They Made our vacation a Dream! A couple of basics needed adding to the room, e.g. we only had one bin which was in the bathroom- this is obviously where all the toilet paper has to go so it would be nice to have another bin for day-to-day bits in the room itself.